For some, veneers might be something that they want to have. Talking to your Roseburg dentist might be something you want to do before you choose to do this. 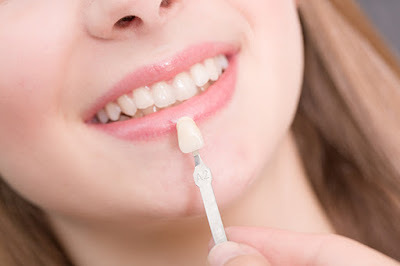 However, are veneers right for you? there are a few pros and cons to each, and while this is a form of cosmetic dentistry, there are other effects to this as well. This article will go over what they are, and the pros and cons of each. Essentially, a veneer is porcelain that is put on the front of teeth with the ultimate goal of making it look better. Often, they’re either made from resin or other materials. The goal of this is to change the size, color, and shape of the teeth. Often, they’re used with teeth that are discolored from other procedures, chipped, irregularly shaped, teeth with gaps, or other dental issues that might result in a loss of confidence. They usually last around 7-15 years before they must be replaced. They are costly, about 1-2 grand and aren’t covered by insurance, so keep that in mind. Composite: these are very similar to porcelain but are the same texture as a cavity filling. They are used to help with minor chips and gaps, and often these are less expensive, but not as durable. Removable: these are a hybrid between porcelain and instant veneers. They are made to match your teeth, and you can remove them. They are the least expensive of the options, but they aren’t good for broken or missing teeth, or any other issues under this. Well, there are a few cons to veneers as well. Along with the cost of them, it’s important to realize that veneers won’t change color. While your natural teeth may change over time, the veneer won’t, which will lead to differences in your smile. 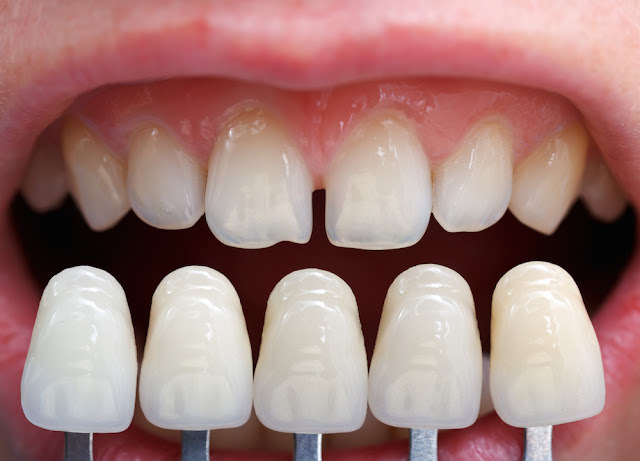 However, if you stay on top of this, you’ll be able to make sure that your veneers match your teeth as best as it can. There is also the fact that these can chip and crack as well due to the fact that they are porcelain. If you bite your nails, chew on ice, or grind your teeth, it’s not recommended, however if you rectify this, you’ll be able to make these last. Finally, a tooth can still suffer from decay, which might lead to root canals and crowns. You shouldn’t have these if you have a history of enamel weakening, gum disease, and other conditions. You should consult your dentist if you think this is the right option so that you can get a true statement on whether or not you should get them. Veneers are great for those who are looking to benefit your smile, just realize that there are a few pros and cons to this. If you take those into consideration, and see your dentist about this, you’ll be able to make a fitting decision on the fate of your smile in no time, and with the best results possible from this as well too.